You may remember Rachel Crow as the cherubic, sassy 14 year-old from last season's The X Factor where she finished fifth amid tears and controversy. An early favorite, Rachel won the hearts of America with her dynamic personality, and sweet yet fierce delivery of songs by the greats such as Diana Ross, Whitney Houston and Etta James. Her ouster was one of if not the most talked about eliminations of the season as it ended with the judges panel in tears, Rachel collapsing to her knees, and Simon Cowell giving America his very best “I hate all of you ninnies” death glare. I was a part of a conference call with the young Ms. Crow right after her exit and while she was a little shell-shocked she remained very optimistic about her future and all the success she was sure was going to come her way. She's currently starring in Fred: The Show on Nickelodeon with a reoccurring role as Starr, the eccentric friend to Fred, she's also participated in talks with Disney about possible future projects. LA Reid said on Rachel's last night that he heard “Hollywood was calling” and it looks like he's right. 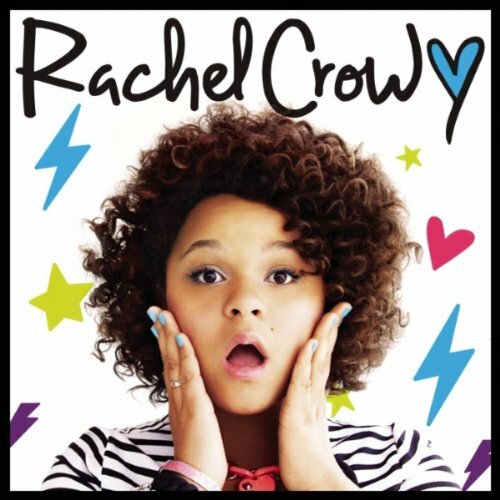 But, never fear Rachel Crow fans, she's not abandoning her burgeoning music career and has released a five song self-titled EP this week available for digital download. We start off with an anti-bullying, girl empowerment track called “Mean Girls” that was co-written by Rachel herself. The song follows a girl and her encounters with girls wearing bubble gum pink and wondering while she wears her blue shirt if maybe she didn't get the memo to wear pink that day. Once she finds her voice and stands up to these girls she declares “Mean girls, mean girls I'm just gonna brush you outta my curls/Mean girls, mean girls you no longer run my world.” This is a powerful song for the 'Tween set and I'm sure it's just what millions of kids need and want to hear right at this moment. Powerful message aside, Rachel's voice is as flawless as ever and she still has that pure, crisp voice reminiscent of a young Michael Jackson. Speaking of MJ – the second song off the EP is called “Rock With You” and I have to wonder after being compared to a young MJ more than once if this song title wasn't selected deliberately, with that in mind. It's a dancey, fun, up-tempo number that will be played at numerous BBQs and outdoor parties this Summer. “My Kind Of Wonderful” tells us about a boy who may not be cute or tall (wow, what a catch) but he's Rachel's kind of wonderful and makes her heart go boom, boom, boom. I love this song because I can so clearly picture her sweet face as she bops around the stage singing this. The throwaway song on this EP is the closer “What A Song Can Do,” which has every good intention there is but the cliches are just too heavy a burden for this song to bear. This is a more soulful track that's just a tad old for this little girl, and the previous four songs are more age appropriate and make a lot more sense. It's not a bad song at all, it just needs to be on Jordin Sparks' album, not this one. To the surprise of no one, this little showstopper can do anything she sets her mind to and I hope we see her on stage, TV, film and hear her on our radios for years to come. Catch Rachel on tour with Big Time Rush and on Fred: The Show airing on Nickelodeon.